After closing down permanently many of its Internet stores across Europe, including the ones in Spain, France, and even its home, Finland, Nokia has officially pulled the plug on two more of its online shops – the ones that served the U.S. and the U.K. At this time, the only Nokia online stores that seem to be still operational are the ones in Portugal, China, and in a few South American countries. Fortunately, Amazon Wireless and many other online retailers are always open for business so the loss of the company’s Internet stores is not that tragic after all. 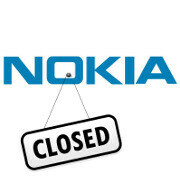 Shutting down its Internet outlets is actually a part of Nokia’s plan to shift its focus away from offering handsets directly to end customers and start selling more devices to wireless carriers instead. The big question is how interested wireless carriers will be in distributing the company’s handsets and how much attention these handsets will get from the market. Those of you who have been keeping an eye on things probably know that Nokia has not been doing very well recently and its market value is dropping steadily. Will the Nokia N9 or the manufacturer’s Windows Phone devices manage to bring the company back to its feet? Did i miss the closing down sale??? Too bad I don't care since Nokia's phones are garbage. Then why do you post and read articles about nokia? Stupid ignorant fanbois. Dude seriously, No one can take you serious. This time it isn't because your photo is *** but this time it's because of what your typed. Nokia phones may be dated but they are far from garbage. The SybianOS is practically worthless with iOS and Android. Get over it. And get some new material because the comments about my pic are lame. "Symbian" is dated but worthless? no. Your pic is the lame thing around here. Symbian S60 3rd Edition was my favorite, and still is even if it is long gone... apparently, I am the only one here who thinks this way. Nokia does not have enough money to waste on R&D to make a new S60 3rd Ed. phone just for me when I am ready for a new one in, like, three to five years. Unfortunately, Symbian was dropped long before actual irrelevance... back in 2008, to be precise, mostly through management stupidity and arrogance. S60 5th Edition was a terrible disappointment to me when it came out. It looked cool, and the touchscreen thing sounded fun at first, but most of them were resistive (they were not bad for resistive, but still not capacitive until the X6), and they did not behave anything quite like the S60/S80 I was used to. Not only that, but they did not keep up on the specs end of things until Symbian^3 came out. S^3 was nothing more than a slightly improved, modified, and optimized S60 5th Ed. for capacitive touchscreens, but the hardware specs were much improved (aside from the sickening failures of components on the N8, a terrible sign of design problems on Nokia's part). S^3 was seriously like putting lipstick on the pig (S60 5th Ed.)... hence Nokia's "burning platform" issue. I would take a new S60 3rd Ed. phone over iOS or Android any day. But then again, that is apparently because I am wierd... everybody else seems to want iOS or Android. I would be interested in a nokia devise. they used to be the only brand to buy. I have verizon and have had them for about a year and a half and have yet to see a nokia phone with verizon. Too bad Nokia is going down hill since they make a deal with M$. Will never buy another Nokia phone for a long time. I am a a former N93 owner and current N900 owner. DO NOT expect Nokia to support anything they toss into consumer's dumpsters on prom night. They will pretend like they never even knew they had anything to do with its creation a few days after the market tries as hard as it can to forget about its abortion. May 2010 @idiot1986-you don't want to comment on what I said because it's true. Apps do not make a handset great unless the handset is already a piece of crap(like the iphone)and needs the apps just to be competitive. And I state again, if android were better, how come the stats say differently? Face it: android will NEVER match let alone beat out symbian. If you do not like nokia so much, then why comment in the first pace? Go run along and play in your android sandbox. I'm sorry i keep posting this it's just so hilariously ironic. It's not like we can never buy Nokia phones ever again, there's Amazon.com that has most of them available. Nokia Going Down,thanks to MS and his new plot to destroy nokia from the inside out, the strings of the plan are showing one after another.